Picked up the new hardback reprinting Jim Aparo's early Brave and the Bold issues. Read the first couple of issues and it's a hoot. 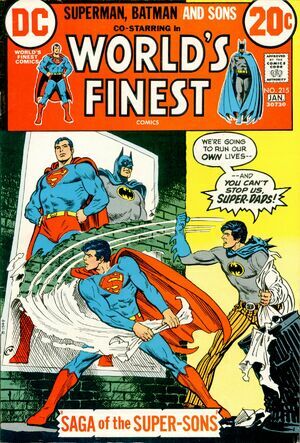 In the second issue, Batman is shot and the bullet lodges in his heart. Which the doctor's treat by putting a bandage over his costume. I'm glad I'm not the only one who likes his Batman funny. I'll have to check that book out. Sam_Vimes wrote: I'm glad I'm not the only one who likes his Batman funny. 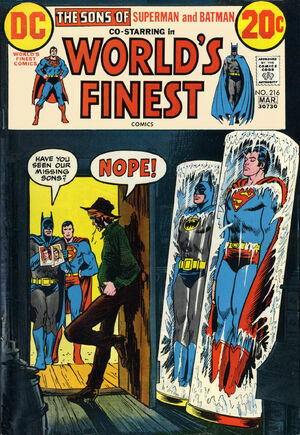 I still want a reprint book of the stories where Batman went Sci-Fi. I really do. 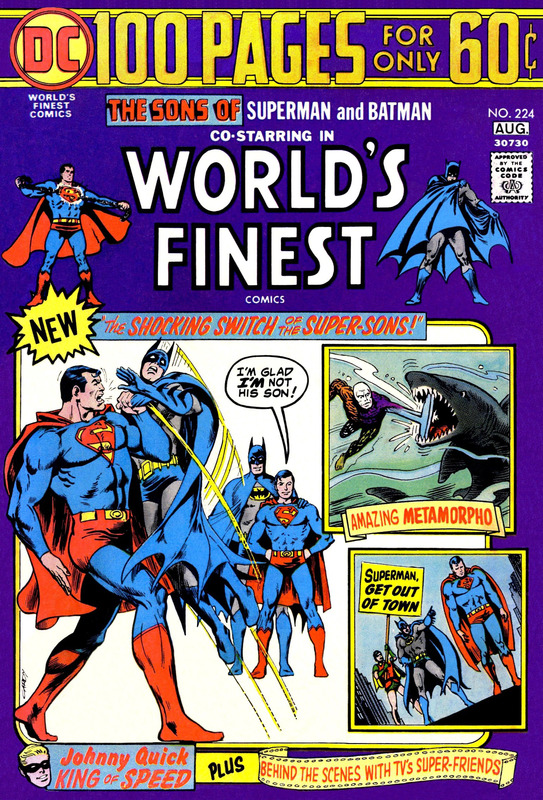 There is far too little Bat-Mite material available these days. In the third issue, a blonde heiress's life is in danger but she wants to sneak out of the house anyway. So she places a life sized dummy of herself in bed and then sneaks out of the house wearing a life size suit that makes her appear to be a male chinese waiter. Simples ! In issue 4 Deadman's girlfriend is going to to be sent to prison, so in order to spare her that he shoots and kills her. The Teen Titans turn up with some toe curlingly "hip" and "groovy" dialogue too. MLP* wrote: In the third issue, a blonde heiress's life is in danger but she wants to sneak out of the house anyway. I've reached the issue where Batman dies and the Atom has to climb inside his head and steer his corpse like one of the Numskulls. MLP* wrote: I've reached the issue where Batman dies and the Atom has to climb inside his head and steer his corpse like one of the Numskulls. 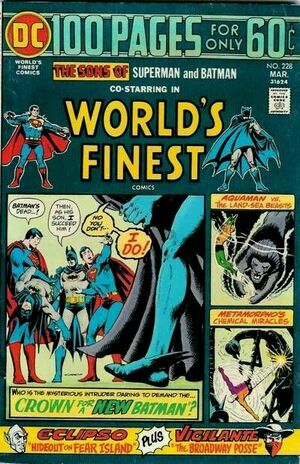 And it's still more believable than 90% of modern Batman stories! "Gottle o' geer! Gottle o' geer!" 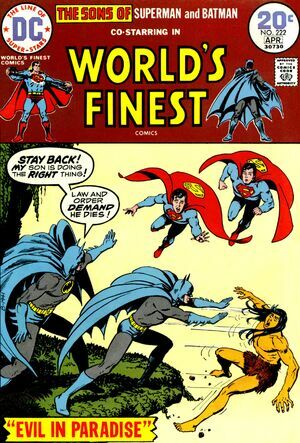 What you need to find are the Super-Sons stories from the 1970s that Bob Haney wrote for World's Finest. And there were a few more after those. 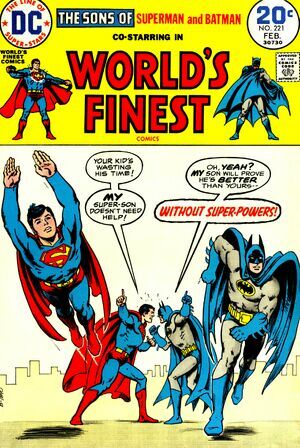 I still don't think I can recall ever reading a Super Sons story.